I love my town. I really do. It is probably one of the most close-kit communities around. Every weekend, SOMEONE throws a party which means there is always an excuse to get together. 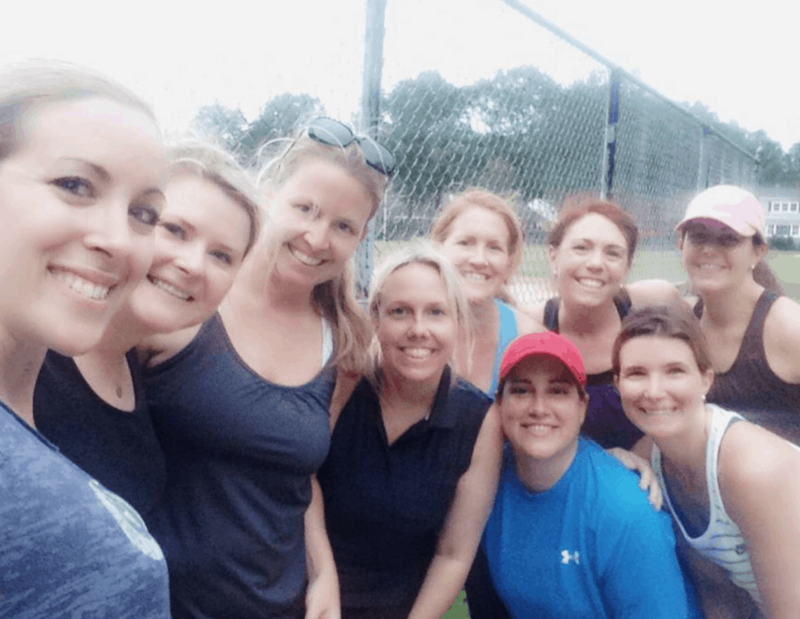 A few weeks ago, my friend Jennifer had something at her house and a bunch of friends were joking around about getting a softball team together. Jen made it real and started taking names. The next thing I knew I was handing over $44 and giving my size for a shirt. Wait what? Is the shirt from C Wonder? I’m so confused??? Softball? ME!? I was in the middle of a great night. The vibe was right. All my friends were doing it. YES MOM – I guess if they all jumped off a bridge I would too!!! 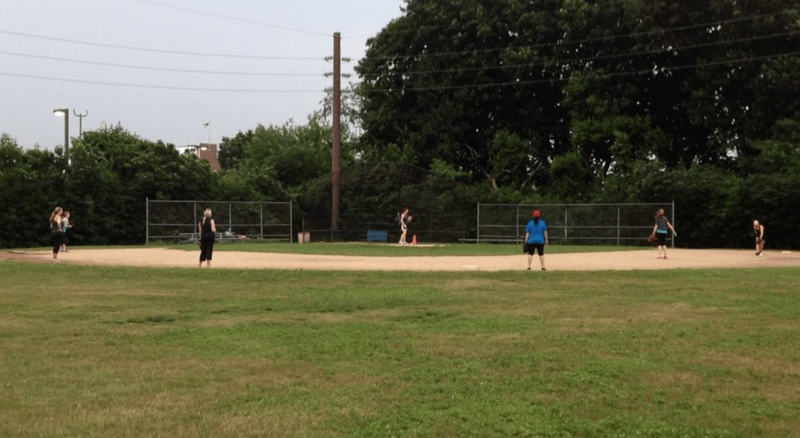 Fast forward a few weeks and there I was… facing our first practice. One of the husbands came to pitch to us so we would be able to practice hitting which I thought was nice. We are in for it BIG TIME. I have a feeling the rest of the teams in the league are semi-serious. We all just want to go out afterwards and have an excuse to get together. This isn’t for a trophy… this is for the after party. We have a pretty large team which is good. 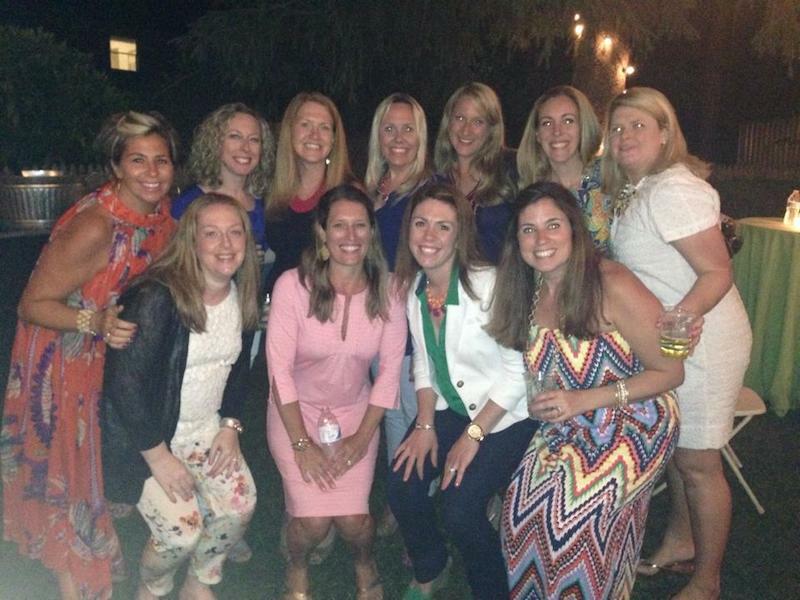 Like I said – we have a great group of friends. 10 of us showed us yesterday for practice. Oh my goodness… I can’t. Balls were rolling through my FEET. I was DYING!!! I did hit a few balls which was surprising. But I also missed more than I hit which WAS NOT surprising. I gave everyone the official heads up that I am going to stink. I don’t know where I am going to play. I don’t have a strong arm so I hope I don’t get outer field. YIKES! Will keep you updated. bet you feel like a kid I used to take to play softball one summer only 🙂 win or lose the game, you are all winners. enjoy ! !